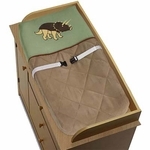 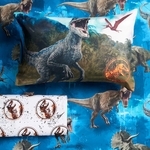 Dinosaur Bedding at Dinosaur Corporation with the best selection of crib sheets, toddler, twin, queen and full sized bedding sheets, as well as dinosaur bed skirts, bedroom decoration and accessories. 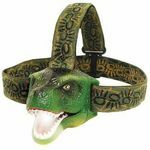 Available in toddler, twin, full and queen sizes for boys and girls. 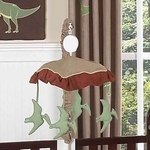 We carry dinosaur lamps, dinosaur sleeping bags, dinosaur night lights with T-rex, Brachiosaurus, Stegosaurus, Triceratops and Pteranodon designs. 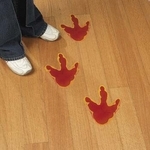 T-rex Picture Dinosaur Wall Decoration Photo Print 19" x 13"
T-rex Skull Soft Plush Cushion 16"